I have worked as a legal secretary for most of my life now. I don’t think I need to tell many of that one can get lost in this role. We transform someone else’s words into correspondence and pleadings. We turn factual summaries and arguments into red and blue booklets that are read and considered by high-court justices. We take pride in bringing the thoughts of others into perfect physical existence, leaving little room for any expression of our own thoughts and ideas. I have recently been part of a law office tradition that subtly confirms for me, though, that no matter the role, each individual is part of the whole, and the whole is marked by the individuals who play a role within it. Since 1999 PPOA has paid for each year’s new employees to blow a glass ornament to hang on the firm’s Christmas tree. Each year Flame Works Gallery offers slightly different color and pattern choices. Like the people who blow the ornaments, no two are alike. 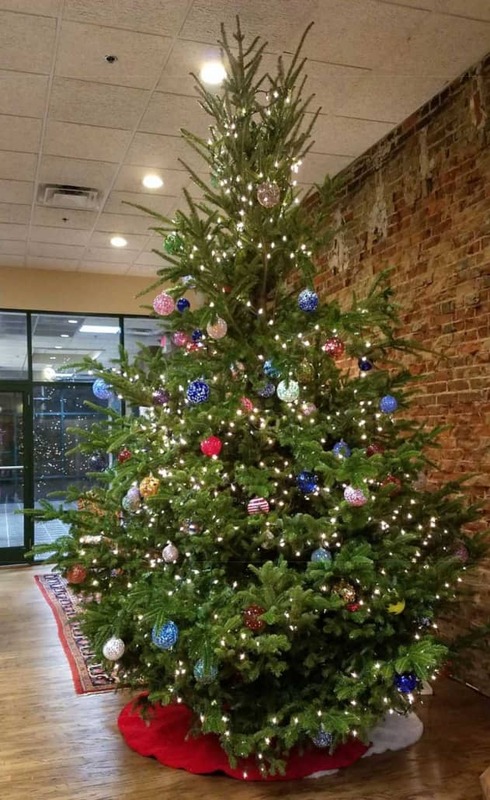 Christmas seasons task new associates to work together to select, install and light a live tree in PPOA’s main lobby. 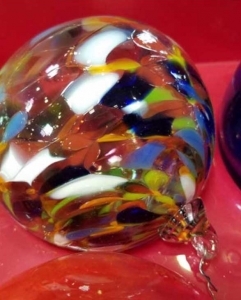 Each employee then hangs his or her ornament from the branches of the massive and fragrant tree. 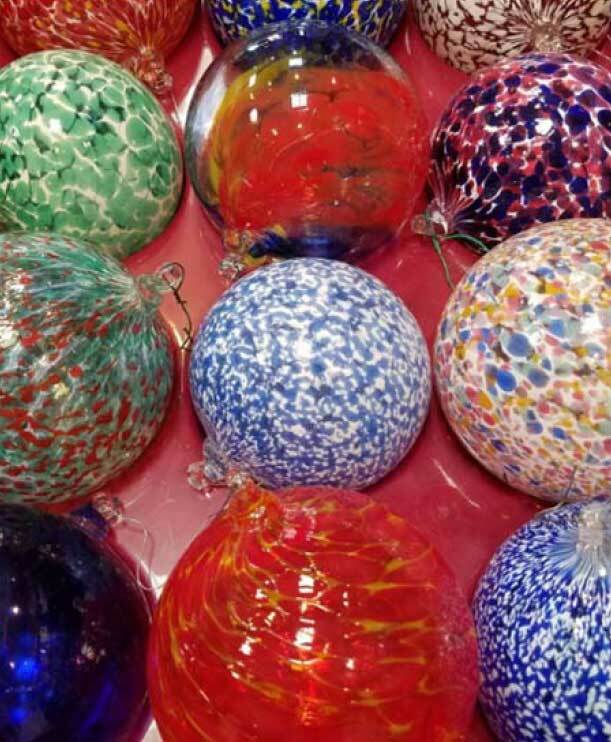 The ornaments, every one uniquely crafted from the very breath of the individuals who have been a part of the PPOA whole, belong to PPOA, and every ornament remains a part of the PPOA Christmas tradition. The light of Christmas, the scent of tradition and the baubles of individuality all make for a warm and wonderful holiday atmosphere here. Phillips Parker Orberson & Arnett is pleased to announce that Nicholas R. Hart is now a partner with the firm. Hart has had an active trial and appellate practice in both Kentucky and Indiana since joining the firm in 2007. His practice is primarily focused in the areas of medical malpractice defense, professional liability defense, toxic torts, premises liability defense and products liability defense. Hart attended the University of Kentucky College of Law. Founding partners, John Phillips and Susan Phillips, were recognized in Louisville Magazine’s 2014 list of “Top Lawyers.” John was recognized as a top lawyer in the fields of Medical Malpractice Law – Defense and Professional Malpractice Law – Defense. Susan was recognized as a top lawyer in the fields of Medical Malpractice Law – Defense and Personal Injury Law – Defense. Congratulations to John and Susan! 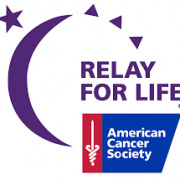 On May 30, 2014, PPOA participated in its 14th consecutive Relay for Life and raised $6,953 for the American Cancer Society. This year brought PPOA’s total contributions to more than $100,000. In the months before the event, PPOA raised funds through other efforts, including hosting a silent auction and the firm’s weekly inter-office “casual for a cause.” We are proud to contribute to the continued fight to find a cure for cancer. On May 12, 2014, Jennifer Jabroski, Carrie Laughlin, and Langdon Worley of the Lexington office of PPOA participated in an event for the Cystic Fibrosis Foundation. The Lexington office has regularly supported the Cystic Fibrosis Foundation for several years. PPOA is excited to announce that David Thompson and Tricia Le Meur have been named partners of the firm. David joined PPOA in 2008 after practicing for seven years in Washington DC and Northern Virginia. During his time at the firm, David has successfully defended physicians, hospitals, as well as other professionals and entities in malpractice trials. 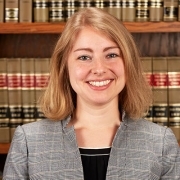 Tricia has practiced with PPOA since earning her Juris Doctor in 2001. Since then, she has successfully represented defendants in a variety of professional and liability lawsuits.